There are so many creams and lotions in stores that it might just be overwhelming to try and find something simple and good for your skin in times when it might need some extra TLC! Many of us get the occasional break out or blemish and it’s great to have something on hand to help treat it and help heal our skin. I did some research and tried out a few different Young Living essential oils to see what really helped get rid of blemishes as quickly as possible. 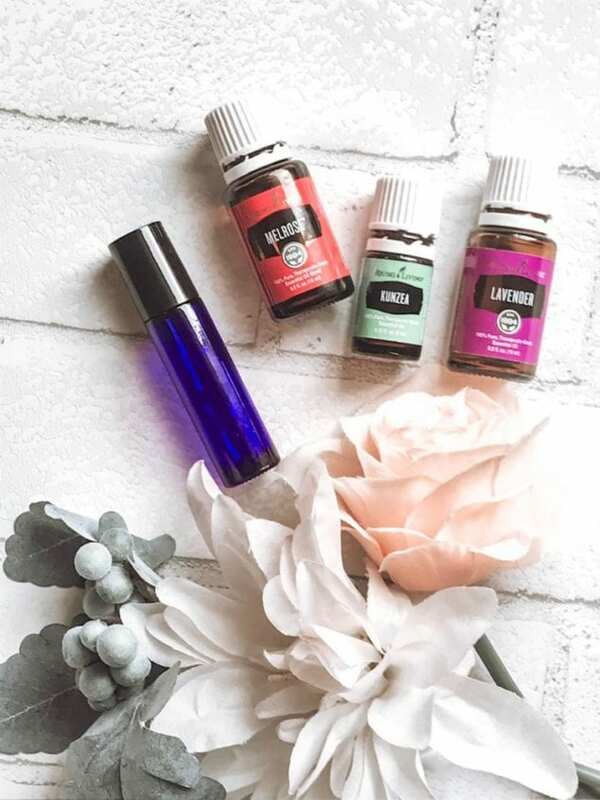 I found 3 essential oils that really worked to get rid of blemishes fast. 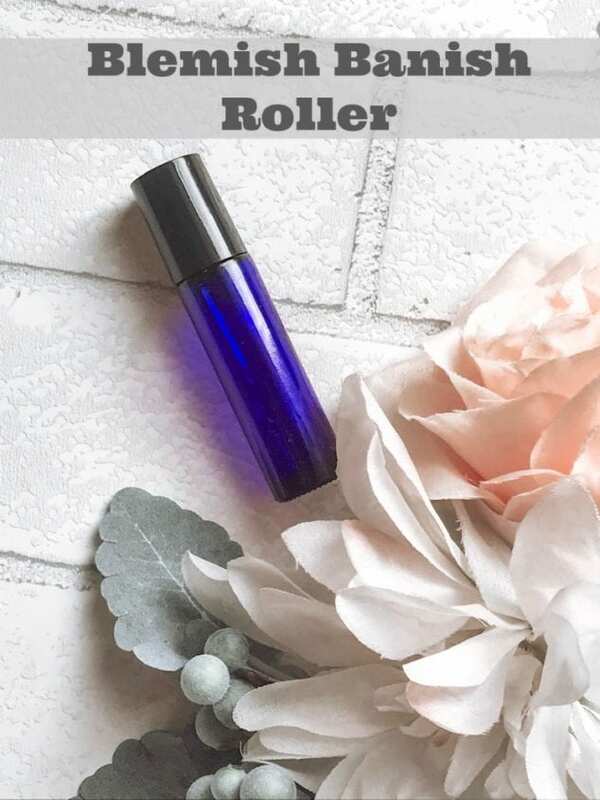 They are the main ingredients in my DIY skin blemish treatment that I am call the Blemish Banish Roller. You are going to love this homemade skin blemish treatment! It is so simple and works so well. I chose Kunzea and Melrose essential oils because they both have antibacterial and antimicrobial properties. They are cleansing to the skin and help clear out pores. The Lavender essential oil is soothing to the skin. These 3 oils work really well together in clearing up skin blemishes and nourishing it as well. Start by grabbing your supplies and head to your kitchen or bathroom counter. Take you roller bottle and remove roller ball. Add your essential oils first. Add 15 drops of Kunzea and 15 drops of Melrose into your roller bottle. Follow with 10 drops of Lavender. 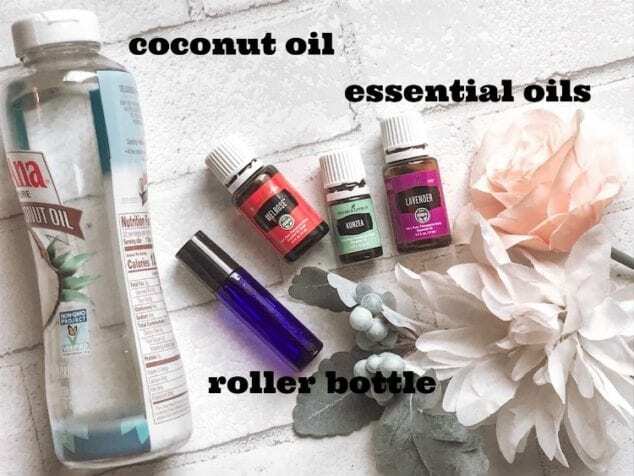 Once you have added your Young Living essential oils, top off your roller with organic liquid coconut oil. It is so good for your skin. Some blemish treatments are over drying and make skin worse but this combination is not over drying while still working to clear skin blemishes. Take your Banish Blemish Roller and roll directly on troubled spot and tap gently onto the skin. Can be used up to 3 times daily and I would recommend using that often for best results. Does this sound like something that would be beneficial to have on hand? 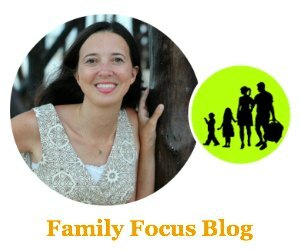 It is so simple to make and makes a huge difference to clearing away blemishes. I hope it is as helpful of a solution for you as it is for me!